I often spot moon jellies off the docks in Olympia, Washington, near my grandparents’ home, or on visits to Hood Canal. These creatures evoke silvery moonlight with their translucent white bells. They gently pulse just under the surface of the water with short, delicate cilia. Their mysterious and peaceful presence fills me wonder and curiosity about the lives of animals so different from us humans. 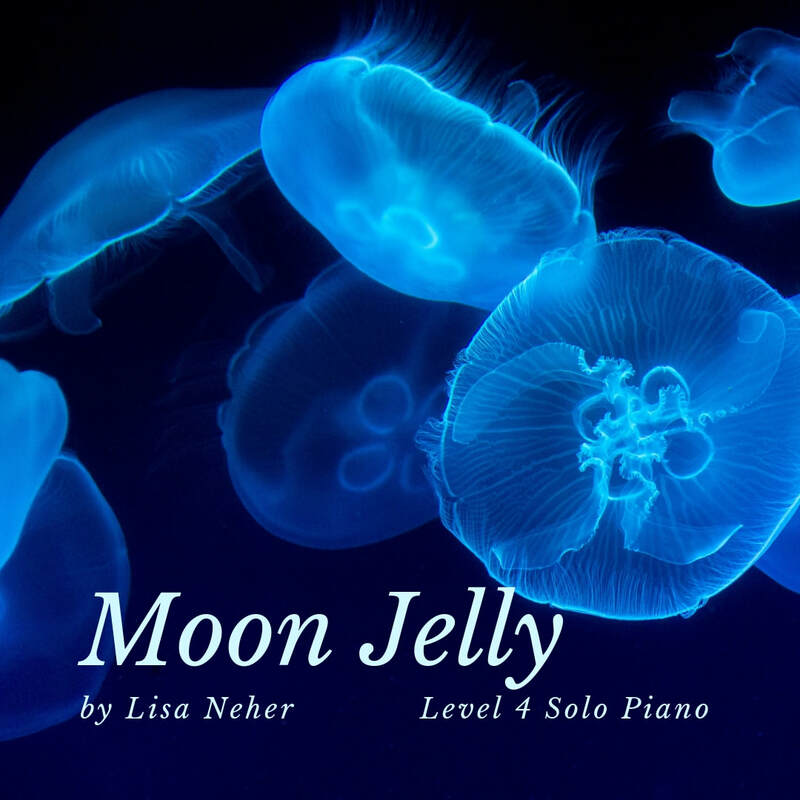 In this piece, slow rolled chords express rippling water and the jellyfish motive features contrary motion like the pulsing bells of the moon jelly. At the end of the piece, the rolled chords descend into the deep, as if the jelly is moving deeper into the water and into the mysterious world below.